Hartford, Connecticut – Propark America announced today that it has commenced parking management operations at One Dalton, the new Four Seasons Hotel and Private Residences, in Boston, Massachusetts. Standing at 61 stories, One Dalton is Boston’s third tallest building and New England’s tallest residential tower. Considered the ultimate in high-end Boston living, the building features an array of amenities which make the lifestyle experience second to none. These features include a fitness center, indoor lap pool, signature spa, a salon, private yoga and pilates studio, golf simulator room with wet bar, a private theater room, a Private Residents’ Club Lounge, and much more. With over 20,000 square feet of amenity space, and a 5,000-square-foot park designed by award-winning landscape architect Michael Van Valkenburgh, every detail has been thoroughly thought-out and meticulously crafted. The Four Seasons Private Residences are designed by Harry Cobb of Pei Cobb Freed & Partners, one of the most distinguished architects in the world, and Cambridge Seven Associates. Luis Arevalo was nominated for this esteemed award by Jorge Mejia, Account Manager. Luis has been a valued Propark team member for nearly two years and currently works as a Parking Attendant at Gateway Center in White Plains, New York. Jorge shared, “I would like to nominate my attendant, soon to be assistant manager, Luis Arevalo due to the many contributions he continues to provide throughout the Westchester Region in his 1 year and 9 months service with Propark. His commitment to Propark, availability and technical support are exemplary. Earlier this month, he did a phenomenal job assisting a nearby location which faced critical temporary coverage for an absentee manager who was away for personal/emergency reasons. Several days ago, we experienced a very disturbing event of graffiti writing taken place against three of our signs inside the visitor lot area. Our client requested immediate attention to this matter and our response was outstanding, especially from Luis. Mike Safford from the sign shop designed and shipped the signs same day. The delivery came in on time, and when I asked Luis to assist me, he not only assisted with the sign installation, but he took charge of the project and did most of the job by himself as I was required to assist other client/tenant needs. The client was happy and appreciative for the work and the quick turnaround time. Congratulations, Luis, and thank you for your dedicated performance. We are Propark Proud of you! Thank you for your reliable customer and client service. Discount Parking FLL will provide air travelers and cruise patrons with premium valet parking service, shuttle transportation twenty-four hours per day and guaranteed online reservations through on their website. As part of the grand opening, people will be able to go to DiscountParkingFLL.com to reserve their parking at a deep discount. Guests will also be able to earn free parking perks through a frequent parker loyalty rewards program, which they will be able to manage online and on a mobile app. Exciting times in San Francisco, as Propark America’s west coast team begins operations at three locations. Virgin Hotel San Francisco is the newest boutique hotel in the city, dedicated to bringing unsurpassed standards of hospitality to the Bay Area. Located at 250 4th Street, the Virgin Hotel San Francisco chose Propark America to manage its valet, doorperson, and bellhop departments in order to provide uncompromising levels of service to guests of their property. Located at 1095 Market Street, YOTEL San Francisco is a refurbished historic building brilliantly located in the vibrant mid-market district. Inspired by first-class ideals and sensibilities, Propark America was the logical partner to ensure the highest level of service is received by their guests. Propark America’s five-star hospitality training, taught by a Ritz Carlton hotel alumnus, is the perfect choice to complement the service ideals at The Clift Royal Sonesta Hotel. Conveniently located at 495 Geary Street in Union Square, guests receive a flawless parking experience to accompany the outstanding guest service delivery at the hotel. Propark is thrilled to add these unique properties to our portfolio. Feel free to learn more about our experience in the hospitality vertical by clicking here. Sean Patton was nominated for this esteemed award by Kyle Vanderschoor, Area Manager. Sean has been a valued Propark team member for over a year and currently works as a Valet Attendant at Sutter Hospital in Sacramento, California. Kyle shared a very heroic story: “On Tuesday, November 13th, 2018, at approximately 3:05 pm (while reporting to the garage), Sean Patton heard the sound of tires screeching and looked up to see a White Ford Explorer rounding the corner in front of him. As the vehicle passed him, he observed a female driver slumped over – as if asleep – travelling at a high rate of speed toward a group of pedestrians. Realizing the imminent (and immediate) inherent danger, Sean sprang into action and doubled back after her, while alerting others in danger, which allowed them to safely escape. Luckily, as the vehicle approached the next intersection, the driver slowed down to make a right turn. This gave Sean just enough time to open the passenger side door, put the vehicle in “Park” and remove the keys from the ignition. From there he began checking on the driver, who seemed despondent and disoriented, asking if she was okay. Not receiving an intelligible response, Sean enlisted the help of his teammates to notify management, who called campus security and Sacramento PD. Additionally, a medical response was activated within a matter of minutes. It was determined that the driver was impaired and was operating the vehicle in a reckless, dangerous manner as a result. We are honored to recognize our heroic Employee of the Month, Sean Patton. Congratulations Sean and thank you for truly going above and beyond. Your willingness to jump into this situation is unparalleled; Propark is very lucky to have such a dedicated and noble employee! We are Propark Proud of you! Propark America is pleased to announce the promotion of George Dean to Regional Vice President for the company’s New York, New Jersey and Southern Connecticut regions. During his time at Propark, George has been instrumental in increasing the net operating income of his region. By expanding into the White Plains marketplace, George helped double profitability over a five-year period. In 2014, while he managed over 40 different accounts, regional profits increased by 60% compared to the prior year. These milestones were achieved through a targeted mix of initiatives, including improved risk and claims management, budgeting and financial review, increased sales, decreased expenses and superior operational efficiencies. Propark America is one of the country’s largest privately-owned parking companies, providing full-service parking solutions for all business types, in over 75 cities across the United States. Hartford, Connecticut – Propark America announced today that the company has launched its annual Good Carma Thanksgiving food drive at locations across the United States. During the month of November, leading up to Thanksgiving, Propark is conducting food drives from coast to coast, benefitting worthwhile charitable organizations, including City Harvest, The Food Bank of Lower Fairfield County, San Francisco-Marin Food Bank, Los Angeles Regional Food Bank and Houston Food Bank. Donation bins will be located at various parking facilities across the country for at least two weeks, beginning on November 1. For more information on participating locations, please call 860-856-4104. Some Things Are Perfect. Like Our Service. 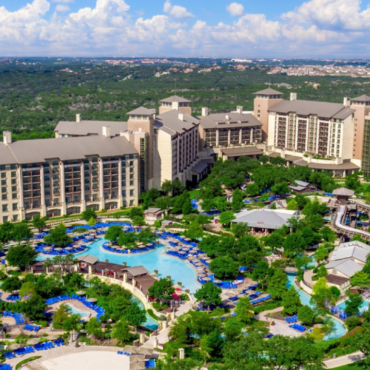 Propark America’s valet team at the esteemed JW Marriott San Antonio Hill Country Resort & Spa achieved a perfect 100% score in a recent service standards audit. Difficult to obtain, this perfect score is indicative of the high level of service delivery that is the standard for Propark’s five star hospitality operating model. Propark America delivers only the greatest levels of attention and care to our guests. We take pride in partnering with our clients, listening to their needs and exceeding expectations. Goal: The Oakland Athletics had to make a mid-season parking change and called us in to make the save. The A’s knew they had a reliable reliever from the great job we do parking for the NFL’s Oakland Raiders and the NBA Champion Golden State Warriors. Focus: Propark quickly stepped up to the plate, and with careful planning, team training and attention to every last detail, a thorough game plan was put in place. We brought in the latest technology, including hand-held revenue control units for super fast entry and exit for fans, as well as strong cash controls and real-time revenue monitoring for our client. Result: Propark America hit it out of the park, instituting a streamlined parking process with precise execution and luxury box customer service levels, creating a safe, efficient and seamless fan parking experience. A vacation is supposed to be one of the best parts of summer, but it can quickly be ruined by a travel scam that you never saw coming. For the rest of the summer and in the future, be aware of the signs of peak-season travel scams that can put a damper on your plans. Sometimes travelers turn to third parties to find deals on hotels, flights, rental cars, and more. However, sometimes these third party discounts are actually scams. If you come across a discount that seems too good to be true, it probably is, and the scammer is simply looking for your debit or credit card information so that they can use it in the future. If possible, avoid third parties altogether and book your reservations directly through the company. Many times, they’ll honor a low price if you find it elsewhere. This travel scam is one of the oldest around and involves exchanging your currency at the airport. Sometimes, instead of a bank, airports will give an exchange outfit operation of certain ATMs. These ATMs will likely advertise “no fees,” however, they’ll often charge you the same amount as an airport counter (up to %15). At our parking management company, we suggest exchanging your currency at a bank or credit union, where the exchange fee is usually the lowest. If you’re looking for a vacation home rental for you and your friends or family, it can be tough to choose one when you can’t actually see them. Because of this fact, scammers often take advantage of travelers looking for rentals. You may find beautiful photos of the perfect vacation home and in order to book it, you’ll need to hand over cash or your credit card information. Once the scammer has what they want, you’ll arrive at the address ready for your vacation. Instead of what you expect, you may find that the home is in terrible shape or worse, doesn’t even exist. Make sure when you book a vacation rental, it’s through a reputable company. Have you ever come across a travel deal that pressures you to book as soon as possible because the deal is only available for a limited time? While some legitimate travel sites will post an offer with an expiration date, travel suppliers don’t often demand that you immediately book your reservation. These high-pressure situations can lead to false promises, abused credit/debit card information, and more, so be cautious with whom you book your deal. Have you ever been scammed before? Tell us about your experience! It may help future travelers avoid the same mistakes. In the meantime, why not make your airport parking reservation with a reputable parking management company the next time you fly? At Propark, we can help you find the best parking location. Propark America has been awarded the management contract for Northwell Health’s parking operations at numerous hospitals in New York’s Nassau County. Northwell Health was founded in 1997 and is a not-for-profit healthcare network headquartered in New Hyde Park, New York. Recognized as both New York State’s largest integrated health system provider and private employer, Northwell’s mission is to improve the health of the communities served by its hospitals. The Northwell Health hospitals that comprise the parking portfolio are located in Nassau County and include Long Island Jewish Medical Center, Cohen Children’s Medical Center, Zucker Hillside Hospital, Syosset Hospital, Plainview Hospital, Glen Cove Hospital and Long Island Jewish Valley Stream (Franklin Hospital). Winpark announced today that it has been awarded the management contract for the operation of Memorial Hermann Medical Plaza’s parking garage in Houston, Texas. The 28-story, 510,000-square-foot, Class A+ medical office building is prominently located in the Texas Medical Center (“TMC”), a 2.1-square-mile medical district and the world’s largest medical complex. Comprised of more than 60-member institutions, six major hospital campuses and more than 50 million square feet of healthcare, educational and research space, the complex represents the eighth largest business district in the United States. TMC is home to many of the world’s most prestigious healthcare institutions, including McGovern Medical School at The University of Texas Health Science Center at Houston (UTHealth), The University of Texas MD Anderson Cancer Center and the property’s namesake, Memorial Hermann. Since 2014, Winpark is powered by Propark, a national parking management company headquartered in Hartford, Connecticut. Propark America announced today that Kevin Gordon has joined the company as Senior Vice President, Hospitality. Kevin Gordon’s career in the parking industry spans over fifteen years, beginning in 2002. As a member of Mile Hi Valet Service, he oversaw more than ten hotels in Northern California, after a transfer from Washington, D.C. During this time, Kevin lead a team of more than 300 employees. Prior to joining Propark, Kevin served as Vice President for Towne Park. Throughout his career with the company, Kevin was responsible for the oversight of prestigious hospitality properties and hospitals across California, Pennsylvania, Massachusetts and Washington, D.C. During this time, Kevin oversaw more than 70 assets, over 100 salaried leaders and 1,500-plus employees. Kevin was recognized as part of the National Parking Association’s Class of 2017, 40 Under 40 due to his ability to deliver world-class service while maximizing financial return for clients and shareholders. Propark America announced today that Peter Kim has joined the company as the director of airport marketing and revenues. With an extensive background in airport marketing that spans over six years, Peter developed go-to-market strategies with a focus on revenue growth and customer acquisition. Responsible for the oversight of various digital and print marketing strategies, Peter’s primary focus was optimizing all campaigns to drive maximum return on investment across all channels. At Propark, our parking systems cater to business travelers from all over and one thing's for certain - business travel can be stressful. Whether it's last-minute flight plans or a first-time trip to a foreign country, there are many different things that travelers have to handle. Here are some tips from our parking management company to make things go a little smoother. 1. Sign up for a frequent flyer program. If there’s an airline that your company frequently books, consider joining their frequent flyer program. You’ll be able to rack up flight miles and enjoy benefits like priority boarding, lounge access, flexible scheduling, and more. 2. Keep an essentials bag handy. Packing is never the fun part of the trip, but you can make things easier by always having an essentials bag packed. Fill it with things like a toothbrush, toothpaste, travel-sized shampoo and conditioner, hair gel, and anything else you use regularly. This way, when your next business trip comes around, you can toss it in your suitcase and go. 3. Don’t be afraid of public transportation. While it’s convenient to rent a car, don’t be afraid to rely on public transportation – especially if you’re traveling to a busy city. Things like the bus, subway, taxis, and even Uber or Lyft are often more convenient than driving, help to reduce traffic, and make parking one less thing to worry about. Of course, if you need to park, Propark can help with that! 4. Stick to a carry-on. The last thing you want is to arrive at your destination and not have your business clothing or important documents ready for a meeting. Don’t risk the airline losing your luggage; stick to a carry-on and you’ll know where all of your belongings are at all times. 5. Invest in an outlet adapter. The size, shape, and voltage of electrical outlets vary around the world, so if you have plans to travel abroad, make sure you invest in an outlet adapter. This way, you’ll be able to use your own devices wherever you go. 6. Eat and sleep well. To essentials for staying healthy during a trip are eating well and getting enough sleep. If your company pays for your food, it can be tempting to over-indulge, but try to resist and reach for healthy options like fruits and vegetables, whole grains, and protein. In addition, try to get 6-8 hours of sleep each night to give your body time to rest and recover. 7. Check your cell phone plan. Cell phone plans and coverage varies by carrier, so if you’re traveling somewhere overseas or remote, check with your provider to see if you’ll have service and if there are any international charges you should keep in mind. 8. Always have hand sanitizer. Business travel requires a lot of touching, from airport security bins to hotel room keys to handshakes and more. Do yourself a favor and keep hand sanitizer with you so you can disinfect as much as possible and ward off germs. 9. Charge everything before you go. The night before you travel, do yourself a favor and charge all of the devices (cell phone, laptop, tablet, etc.) you’ll be using when you arrive at your destination. You’ll feel much better knowing they’re fully charged and ready to use when you land. As a business traveler, you’re likely to run into a few scenarios of either boredom or excess noise. Luckily, noise-canceling headphones can solve both situations. Invest in a decent pair and you’ll be able to drown out things like crying babies, talkative neighbors, plane engine noise, and more. Hartford, Connecticut – Propark America announced today that the company has assumed management responsibility for the parking operations at Rego Center Mall in Queens, New York. Located in the heart of Queens, the Rego Center Mall is situated in a popular area that offers a complete lifestyle experience and unique blend of retail stores. This creates a challenging parking environment requiring specialized management. Built on the grounds of the former “Fairyland” amusement park, Rego Center Mall is owned by Vornado Realty Trust and is home to a variety of shopping outlets. With over 2,600 parking spaces and 22 pay stations throughout the garage, with another 250-plus parking spaces in the front of the mall, the Rego Center Mall’s parking operations supports the bustling retail environment driven by premier retailers, including Kohl’s, Costco, T.J. Maxx, Marshalls, Old Navy and Burlington Coat Factory. A third open lot in front of the mall caters to short-term parking for up to two hours at a low rate. Propark America is one of the country’s largest privately-owned parking companies, providing full-service parking solutions and mobility services for all business types, in over 75 cities across the United States. For more information, please visit www.propark.com or call our New York Office at 914.478.6300. Propark America announced today that Honor Miele has joined the company as the new regional manager in Los Angeles, California. Honor has worked in the parking world for over 25 years, where learned about all aspects the industry organically, giving her unique insight and expertise. She possesses vast experience in operations, portfolio management, operational audit, business development, financial reporting and budgeting, across a variety of verticals including Class A office, retail, valet and transportation operations. Her leadership skills are known to motivate employees and get the very best from them, which translates to successful, guest-focused operations. Propark America is one of the country’s largest privately-owned parking companies, providing full-service parking solutions for all business types, in over 75 cities across the United States. For more information, please visit www.propark.com. Propark America announced today that it is opening its latest Jiffy Airport Parking location, servicing John F. Kennedy International Airport in Queens, New York. Propark America announced today that David Horn has joined the company as the new regional vice president, overseeing the Jacksonville market and select near airport facilities within the company’s portfolio. David has over twenty years of experience in the parking industry, most recently serving as the regional general manager of USAPARK Airport Parking, where he was responsible for the oversight of a portfolio of parking assets across the country. David previously served as the general manager of ParkSpace Airport Shuttle Parking, and prior to that, he was the city manager for Parkway Corporation, where he was responsible for operating an assortment of thirteen parking facilities. David Horn received his degree in business administration and management at Robert Morris University. He is also passionately active with Rise Against Hunger, an international hunger relief organization that distributes food and life-changing aid across the world, with the goal to end hunger by 2030. Independence Day is only a week away, which means many of the more popular destinations (Philadelphia, Washington D.C., etc.) are likely either booked up, expensive, or both. If you still want to get away, but aren't sure where to go at the last minute, consider these destinations from our parking management company. If you’re a lover of parades, you won’t want to miss the one held every 4th of July in Gatlinburg. The parade begins at 12:01 on the 4th, making it the very first parade in the country on Independence Day. Each year, around 100,000 locals and visitors gather to watch and once the dawn breaks, you can enjoy the River Raft Regatta, free concerts, and a firework finale, of course. Why not do something different this year and spend your 4th of July on the small, charming island of Nantucket? Start your trip by taking a relaxing sunset cruise around the bay, then enjoy some delicious, fresh seafood. On the 4th, you’ll find plenty of festivities on Main Street including a dunk tank, watermelon-eating contest, puppet shows, photo booths, and more. Once the sun goes down, you’ll be treated to beach fireworks synchronized to music. Check out Prescott, Arizona for Independence Day fun for the whole family. Just an hour north of Phoenix, this town is filled with folks who simply love to have a good time. Celebrate the 4th of July at the World’s Oldest Rodeo, head down one of many giant water slides, listen to some live music, and even ride a mechanical bull. There are also plenty of delicious food trucks for all tastes and don’t forget margaritas and beer for the adults. Sin City is a great place to visit no matter what holiday you’re celebrating, but come 4th of July and the city is filled with pool parties, rooftop barbecues, beer gardens, and a fireworks competition between several popular casinos. With reasonable airfare and plenty of places to stay (don’t forget the idea of staying outside the city for a lower cost), you can celebrate Independence Day in Vegas style. July is the perfect time for a beach getaway, so why not head to South Padre Island? The popular Spring Break destination is perfect for surfing, swimming, flyboarding, or simply soaking up the sun. For the 4th of July, the island comes alive with live music, dancing, a beach parade (complete with prizes for the best group, best costume, and best-decorated wagon) as well as fireworks both on the beach and over the bay. No matter where you head to this 4th of July, don’t forget to make a parking reservation with one of our many Propark locations around the country! Founded by Hines in 1997, Winpark is a premium parking services provider operating Class-A office tower parking facilities in Houston, Dallas, Phoenix and Austin. Winpark has also developed a proprietary parking management software integration platform designed specifically for large real estate assets. Winpark has successfully managed and consulted on some of the nation’s largest Class-A office, retail, mixed-use, and medical facilities, as well as complex design and administrative challenges. Winpark’s services include the ability to work from the “ground-up,” from build-out and design, through the management and running of complex garages. Cutting-edge software solutions provide for seamless monitoring, and billing and operational oversight. Winpark trains owners and managers to identify solutions and understand exposures, bringing an unbroken chain of accountability to parking operations. WinPark also consults on technology and equipment upgrades, garage traffic flows, accounting controls, fraud detection and space-mix optimization. Winpark is a member of the International Parking Institute, the National Parking Association, the Green Parking Council, BOMA International and the Property Management Association. The company was acquired by Propark America in February 2014. Propark America is one of the country’s premiere parking companies, providing full-service parking solutions across all parking markets, including office buildings, retail centers, corporate campuses, airports, universities, medical institutions, municipalities, stadiums, residential buildings and hotels. Headquartered in Hartford, Connecticut, Propark operates more than 500 locations in convenient markets across the United States, including New York, Washington D.C., Boston, Cambridge, San Francisco, Oakland, Sacramento, Palo Alto, Reno, Cleveland, Jacksonville, Nashville, San Antonio, Denver, Phoenix, Hartford, Stamford and New Haven. Propark America is not your average parking management company. We differentiate ourselves from other companies in a variety of meaningful ways. We pride ourselves, first and foremost, on our Parking People. Our highly trained staff delivers high-end, hotel quality service standards across the country, through the guidance of our proprietary Propark THINK training program. We also pride ourselves on our entrepreneurial approach to management. We take an ownership approach to the assets entrusted to our care, and the result is a personalized premium parking management program, with a focus on an enhanced bottom line, driven by revenue creation. We pride ourselves on being a technology leader in parking and transportation. We are revolutionizing the remote parking management model through our Cloudpark Remote Management Center, and optimizing shuttle fleets across the country by using advanced GPS and diagnostics systems. But perhaps we pride ourselves most on helping to shape the sustainability movement in parking. Our CEO, John Schmid, created the Green Parking Council (GPC), which set the sustainable standard within the industry. We united the industry for common good; and the resulting Green Garage Certification was brought under the LEED umbrella by the United States Green Building Council (USGBC). Propark America was recently recognized by the USGBC’s new transportation report, for our LEED Certified Gold Canopy Airport Parking location in Denver, Colorado. We are honored to be recognized alongside so many other worthwhile and impactful projects and sustainable initiatives. Park On! Since 1984, Propark has been creating parking management systems for a wide variety of industries. With the services and amenities you're looking for and the professionalism you need, we can help you transform your business. Here are four benefits to choosing our parking management company. Whether you’re interested in self-service facilities, full-service facilities, valet, shuttle transportation, garage management, signage, revenue control software, or another parking service, we’re here to help. At our parking management company, we can make sure you have exactly what you need to provide your customers with the best parking experience possible. When you use Propark, you can ensure both you and your customers will be able to park without a hassle. We make sure you get our award-winning customer service as well as the best parking-related functions to improve your parking situation and ensure a seamless process every time. Best of all, when you let us take care of your parking situation, you can focus on your key business objectives. If you’re looking to increase the value of your bottom line, Propark can help you do it. With a wide variety of parking services and amenities, we can design a parking management program to help you improve your overall business. Talk to our experts about our marketing strategies, accounting platforms, risk management, and other beneficial elements for your operation. When you turn to our parking management company, you can rest assured you and your customers will receive the best parking services. We have more than 500 locations across the country and service virtually any industry, from airports to hospitals to universities and more. By choosing Propark, you can enjoy peace of mind knowing that your parking situation is taken care of by professionals. If you’re interested in our parking management company, don’t hesitate to contact us. We can help you get started today. Houston, Texas – Winpark announced that its Houston Area Manager, Becky Cass, was honored last month in New Orleans, Louisiana as the International Parking Institute’s 2017 Parking Supervisor of the Year. Cass was awarded this distinction at the International Parking Institute’s 2017 Conference & Expo. She was nominated for consideration by her peers, and selected by a committee of industry professionals, for her leadership and results-driven approach to asset management. Cass’ accomplishments include overseeing eight operations, with a cumulative total of millions of dollars in annual revenue generation. Additionally, she guided special projects that included automated equipment integrations at multiple facilities and building a successful, full-service valet program. Cass excelled at managing all aspects of these operations and initiatives, all while enhancing profitability for her clients. Winpark is a member of the International Parking Institute, the National Parking Association, Women in Parking, the Green Parking Council, BOMA International and the Property Management Association. Propark, Inc. (www.propark.com) announces that it has purchased Express Park in Los Angeles, California. Express Park’s portfolio of parking operations includes locations in Hollywood, Studio City, Santa Monica and Huntington Park. Propark America announced today that the company was awarded a portfolio of parking facilities throughout San Francisco and Los Angeles by Hudson Pacific Properties. The Hudson Pacific Properties portfolio includes the development and management of high quality office, media, and entertainment properties. In addition to Hudson Pacific Properties tenants, the parking portfolio also supports a number of popular entertainment destinations in their respective regions including Burbank Studios, Warner Brothers Studios, Walt Disney Studios and Rodeo Drive in Los Angeles, as well as Union Square and AT&T Park in San Francisco. The Hudson Pacific Properties parking facility portfolio adds to Propark’s growing depth in Los Angeles, while further solidifying the company’s longstanding presence in San Francisco. Propark America is pleased to announce the promotion of Luis Garcia to senior vice president for the company’s west region. Luis began his career with Propark over eight years ago as an account manager. His demonstrated leadership allowed for his continued advancement through multiple tiers of management, most recently serving as regional vice president prior to assuming his current role as senior vice president. Luis has excelled primarily due to embodying Propark’s entrepreneurial spirit and creating a team-oriented atmosphere that is geared toward providing all guests a premium parking service. Winpark announced today that they have hired Nicole Chinea as the company’s Regional Vice President of Operations. Prior to joining Winpark, Chinea served as a Senior Associate for Walter P. Moore Consulting Services. In this role, Nicole led the consulting and studies team and was instrumental in gaining new business for the Parking Services Group. Chinea was the Director for Texas Medical Center’s transportation and parking operations and prior to that, she served as a Project Manager for the City of Houston’s Parking Management Division. Chinea is a Certified Administrator of Public Parking (CAPP) and holds a Bachelor’s Degree in Business Management. She is a member of the International Parking Institute’s Education Development Committee and also serves on the Membership Committee of the Texas Parking and Transportation Association. Propark America announced today that it has become a Titanium Partner of Women In Parking. Established in 2011, Women In Parking seeks to enhance the professional careers of women in the parking industry through extensive leadership opportunities, the exchange of expert knowledge and ideas, and collaboration between its members. Built on a foundation of mentorship, networking, and education, Women In Parking encourages teamwork and effective communication between its members. Through member benefit services, women of Propark and Winpark will be able to discuss trends and gain more insight into the industry by being able to connect with their WIP peers. Hartford, Connecticut – Propark America announced today that Liliana Rambo, CAPP will be joining Winpark Management, LLC as the company’s new president. Before joining Winpark, Liliana served as the parking director for the Houston Airport System, comprised of: George Bush Intercontinental Airport (IAH), William P. Hobby Airport (HOU), and Ellington Airport (EFD). She was responsible for overseeing an operation of over 35,000 parking spaces and achieving annual parking revenue of over 100 million dollars. Prior to that role, Rambo was the parking management director for the City of Houston, managing on-street parking operations. Additionally, Liliana led the City of Hollywood, Florida’s, Office of Parking Services and was the director of off-street operations for the Miami Parking Authority. Rambo has held key leadership roles within the parking community, most recently as the chair of the board of directors for the International Parking Institute. Liliana served on the board of directors of the Florida Parking Association and the board of directors of the Texas Parking Association, which recognized her with its Distinguished Service Award. Acquired by Propark America in February of 2014, Winpark is a premium parking services provider operating Class-A office tower parking facilities in Houston, San Francisco, Dallas, Sacramento, Phoenix and Austin. Winpark has also developed a proprietary parking management software integration platform designed specifically for large real estate assets. Winpark successfully manages and consults on some of the nation’s largest Class-A office, retail, mixed-use, and medical facilities, as well as complex design and administrative challenges. Headquartered in Hartford, Connecticut, Propark operates more than 500 locations in convenient markets across the United States, including New York, Washington D.C., Boston, Cambridge, San Francisco, Oakland, Sacramento, Palo Alto, Reno, Cleveland, Jacksonville, San Antonio, Denver, Phoenix, Hartford, Stamford and New Haven. Hartford, Connecticut – Propark America announced today that Peter Thorson has joined the company as a senior vice president. Before joining Propark, Peter served as the vice president for the Southern California region for SP Plus Corporation (formerly Standard Parking Corporation) for eighteen years. In his new role, Peter will be responsible for overseeing, developing and growing Propark’s Southwestern United States region, as well as the company’s near-airport parking operations, nationwide. Cambridge, Massachusetts – The Charles Square Garage announced today that it has been designated as a Certified Green Garage by the Green Parking Council. Launched in 2015, Green Garage Certification recognizes parking facility management practices that maximize performance while minimizing waste. Many of these programs encourage mobility options, sustainable technology and efficient structure design. Sustainable garages frequently employ energy- efficient lighting and ventilation systems, guidance systems that help drivers find parking faster, idle- reduction technologies, electric vehicle fueling stations, car sharing, bicycle parking, and storm water management practices. The Charles Square Garage is the first hotel garage, and one of the initial seven parking garages in the country, to achieve this designation at the International Parking Institute’s annual Conference and Exposition, which was held in Las Vegas, Nevada. The Charles Square Garage is situated beneath the renowned Charles Hotel, located in the heart of Harvard Square. The facility features the Green Garage Oasis suite of premium sustainable amenities, including complimentary Juice Bar EV charging stations, and the Hotel Bike bicycle lending program. The garage is the only facility in the world to use nanoMAX patented small car detection technology, which scans vehicles upon arrival and assigns discounted parking rates based on size. Propark America is one of the nation’s leading parking companies, providing full-service parking solutions across all parking markets including office buildings, retail centers, corporate campuses, airports, universities, medical institutions, municipal facilities, stadiums, residential buildings and hotels. Headquartered in Hartford, Connecticut, Propark operates more than 500 locations in convenient markets across the United States, including New York, Washington D.C., Boston, Cambridge, San Francisco, Oakland, Palo Alto, Reno, Cleveland, Jacksonville, San Antonio, Denver, Phoenix, Hartford, Stamford and New Haven. Propark is a member of the International Parking Institute, the National Parking Association, and is a Platinum Level Partner of the Green Parking Council. For more information, please visit www.www.propark.com. Commerce City, Colorado – Propark America announced in a ribbon-cutting event Wednesday morning (March 25) that its Canopy Airport Parking facility, servicing Denver International Airport, has expanded its partnership with the E-470 Public Highway Authority to offer non-stop automated billing to ExpressToll customers. ExpressToll is the automated toll billing system used by E-470, the Northwest Parkway and CDOT’s Express Lanes. ExpressToll account holders who register their transponder number (not their billing account number) with their Canopy 5280 frequent parker account will now be able to enter and exit the facility without stopping, in addition to saving 25% on parking. Parking charges will be billed to the customer’s 5280 account with Canopy, not to the customer’s ExpressToll account. Billing to Canopy’s 5280 members’ accounts will utilize the same transponder used on E-470. This exclusive automation will allow for swift entrance and exit from Canopy Airport Parking, which is currently the only off-site Denver International Airport parking facility to utilize this technology. Canopy installed the equipment, although it was aided with counsel and vendor referrals from E-470. “We’re really excited about this latest step in the evolution of our partnership with E-470,” said Lesley Byram, director of sales and marketing for Canopy Airport Parking. “The technology upgrade that was deployed at our facility is going to be a guest convenience that we believe will be very well received by the public. For a limited time, as part of the partnership expansion, Canopy Airport Parking is offering existing 5280 frequent parker members a free day of parking for opting into the ExpressToll Rewards program by adding their transponder number to their 5280 account. Canopy is also offering three free days of parking for customers that sign up for their ExpressToll account at the Canopy parking facility. Email 5280@canopyparking.com for more information on how this new partnership works or visit www.canopyairportparking.com. Canopy Airport Parking, which opened in November of 2010, features geothermal heating and cooling, a wind turbine farm, solar panel fields and other advanced technologies, allowing Canopy to run on 75% less energy than comparable facilities. Canopy is LEED Certified Gold and one of North America’s first Demonstrator Sites of the Green Parking Council. Propark America, headquartered in Hartford, Connecticut, is one of the nation’s leading parking companies, providing full-service parking solutions across all parking markets. Propark operates more than 500 locations in convenient markets across the United States, and is a member of the International Parking Institute, the National Parking Association, and is a Platinum Level Partner of the Green Parking Council. For more information, please visit www.www.propark.com. E-470 is the 75-mph toll road that runs along the eastern perimeter of the Denver metropolitan area. The road is not taxpayer-funded and is financed, constructed, operated and governed by the E-470 Public Highway Authority. E-470 is composed of eight local governments: Adams, Arapahoe and Douglas counties, and the municipalities of Aurora, Brighton, Commerce City, Parker and Thornton. San Jose, California – Propark America announced today that it has been awarded the contract to provide valet parking management services at the world headquarters of eBay in San Jose. In addition to valet parking services and premium amenities, Propark will also provide consulting services to eBay for overall transportation needs throughout their campus, including both parking and transportation. campuses, airports, universities, medical institutions, municipal facilities, stadiums, residential buildings and hotels. Francisco, Oakland, Palo Alto, Reno, Cleveland, Jacksonville, San Antonio, Denver, Phoenix, Hartford, Stamford and New Haven. (HOUSTON) – Hines, the international real estate firm, announced today the sale of its parking services company, Winpark Management LLC, to Propark America. Winpark is a full-service parking management and consulting company founded by Hines in 1997. Financials on the deal were not disclosed. Winpark is a premium parking services provider operating Class-A office tower parking facilities in Houston, Dallas, Phoenix and Austin. Winpark has also developed a proprietary parking management software integration platform designed specifically for large real estate assets. Winpark has successfully managed and consulted on some of the nation’s largest Class-A office, retail, mixed-use, and medical facilities, as well as complex design and administrative challenges. Winpark’s services include the ability to work from the “ground-up,” from build- out and design, through the management and running of complex garages. Cutting-edge software solutions provide for seamless monitoring, and billing and operational oversight. Winpark trains owners and managers to identify solutions and understand exposures, bringing an unbroken chain of accountability to parking operations. Winpark also consults on technology and equipment upgrades, garage traffic flows, accounting controls, fraud detection and space-mix optimization. Hines is a privately owned real estate firm involved in real estate investment, development and property management worldwide. The firm’s historical and current portfolio of projects that are underway, completed, acquired and managed for third parties includes 1,283 properties representing more than 516 million square feet of office, residential, mixed-use, industrial, hotel, medical and sports facilities, as well as large, master-planned communities and land developments. Currently, Hines manages 378 properties totaling 151.9 million square feet, which includes 84.3 million square feet for third parties. With offices in 111 cities in 18 countries, and controlled assets valued at approximately $25.2 billion, Hines is one of the largest real estate organizations in the world. Hines is also a world leader in sustainable real estate strategies, with extensive experience in LEED®, ENERGY STAR®, BREEAM, Haute Qualite Environmental a and DGNB green building rating systems. Visit www.hines.com for more information.